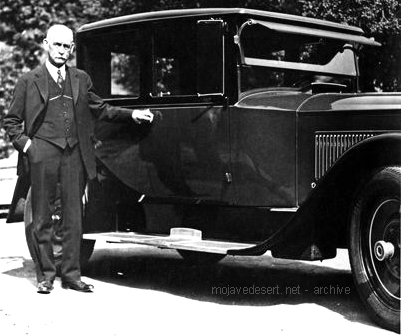 Wyatt Earp and his brand new Packard. — Wyatt had bought a brand new auto and was taking Josie out to visit a friend in Arizona. 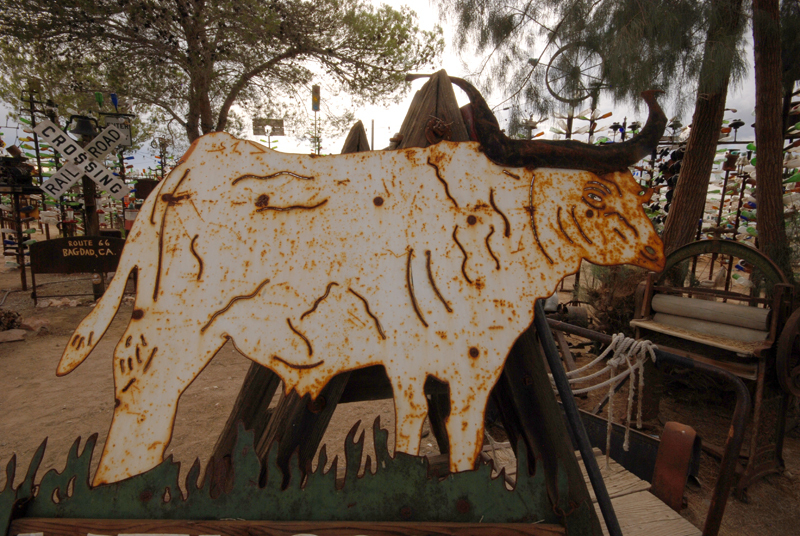 Somewhere south of Needles, a large bull leapt out from behind a creosote bush. The bull huffed and puffed and stomped and scrapped his hooves, lowered his head and charged the brand-new shiny-clean car. The bull came at the door on Josie’s side. She screamed. She was afraid the bull would kill her. However, she had no reason to fear death as Wyatt, drew his gun and put 3 shots into his thick skull right between its wide-set eyes. This killed the bull instantly. The bull had messed up the door pretty bad. Then all of a sudden some guy jumped out of the creosote yelling and screaming about the “prize bull” Wyatt just killed. An argument ensued. It seemed that Wyatt knew this guy’s boss and was the friend he was taking Josie to visit. It was pretty funny. Sort of. I don’t know who, if anyone, paid to get Wyatt’s door fixed. I imagine they ate the bull.